Review Summary: We've been using Republic Wireless for over four years (since July 2014), and we love their service. We started with three Motorola Moto G (1st Gen) smart phones back in 2014. We are still using two of our original Moto G phones (still going strong after 4 years), but recently upgraded and replaced one of the Moto G phones with a newer Moto G4 phone on a newer My Choice plan. Every month, we continue to save more money and rack up the savings. I highly recommend Republic Wireless... for most people. I'm not sure if their service is really right for everyone, but if you enjoy saving money and getting great value, I've listed the pros and cons of Republic Wireless below so you can decide if Republic Wireless is right for you. 2019 Update: My wife, daughter, and son have now been using Republic Wireless for almost five years! We started with three Moto G 1st Generation phones, each with the basic unlimited talk and text plan. Although the original Moto G phones kept working great, my family eventually wanted to upgrade phones (and I like to keep my family happy), so we now have a Moto G5Plus, a Moto G6, and a Moto X4, all still on the basic Republic Wireless talk and text plan. Our original Moto G phones were on Republic's CDMA Sprint network, while our new Moto phones are on Republic's GSM T-Mobile network. Both Sprint and T-Mobile provide excellent coverage where we live in Southern California, and we also have excellent wifi coverage at home, school, and work. You might wonder why I'm not also on Republic Wireless. When my son became old enough a few years ago to need a smartphone, I gave him my Republic phone. I wasn't too crazy about adding a fourth monthly phone bill to our family budget, so I decided to become our family's "guinea pig" and try a "free" phone service. Keeping the service free (and working) can be more than a bit complicated. While I don't mind the challenge of maintaining the "free" service for myself, I wouldn't recommend it to most people. If you want simple, reasonably priced service, Republic Wireless is the way to go. When it comes to my wife and kids, I need something that is low maintenance, always works, and is reasonably priced. That's why my family is still on Republic Wireless, and why I still highly recommend them. HOT! Switch to Republic and get 2 months of free service! In the meantime, ever since fifth grade, our daughter has been asking for a cell phone. We kept saying no, understanding that she really wanted one, but to our mind, didn't really need one. I don't know how many times I heard the phrase "but all my friends have a phone." I was surprised that the vast majority of the students in her sixth grade class had phones (almost all of them smart phones), but we still told our daughter that elementary school children don't need a cell phone, and we weren't going to get her one. Then last summer, when she was due to start 7th grade (junior high) in the fall, we decided it was time for her to have phone. I wasn't crazy about buying an expensive phone from T-Mobile and committing to a new two year contact, plus a higher monthly bill. So I started looking for low-cost cell phones and cell phone plans, and discovered Republic Wireless. I decided to give Republic Wireless a try (they have a 30 day money back guarantee) and so we got her the Moto G and signed her up for their $10/month unlimited talk and text plan. To make a long story a little shorter, she loved her new phone and plan, and I loved the cost, so we got two Moto G for my wife and myself (plus two more $10/month plans), and cancelled our T-Mobile service. Republic Wireless started in 2011. If you haven't heard of them, it's probably because they're a fairly small company that doesn't do national advertising like the Big Four: AT&T, Verizon, T-Mobile, and Sprint. Instead, Republic provides amazing value and relies mainly on word-of-mouth advertising from happy customers like me, a policy that seems to be working well as they are growing by leaps and bounds. Although Republic Wireless is relatively new, it is a subsidiary of Bandwidth, a company that has been around since 1999. The main idea behind Republic Wireless is to make smart phones and smart phone cell service more affordable. To do this, Republic Wireless relies on two technologies: hybrid calling and MVNO. Hybrid calling means using both wifi (wireless internet) and cellular service for phone calls, texts, and internet access. Traditional cell phones only work on cellular service. But many of us now have wifi at home, at work, and many places we are during the day. Republic Wireless phones work primarily on wifi, which is free, and is faster than cellular for data, and use cellular service as a backup when wifi isn't available. Yet as a customer, you don't have to worry. When you dial a number, if wifi is available, the phone call goes over wifi, otherwise it goes over cellular. More importantly, if you're talking on wifi and you leave the wifi area, the call hands over to cellular, so you don't lose the call, and similarly, if you go from cellular to wifi, the call switches back over without dropping. Republic Wireless recently developed and introduced a new technology they call "Bonded Calling" that combines and uses both the wifi and cellular signal when both are available for even better call quality. MVNO stands for Mobile Virtual Network Operator, and is a fancy way of saying a company that resells cellular access from a real cellular provider. In the United States, there are only four "real" cell phone service providers (companies that actually have and maintain their own cell phone towers): AT&T, Verizon, T-Mobile, and Sprint. Virgin Mobile was the first MVNO here in the US, and is essentially a reseller of Sprint cell service. For a while, Sprint was only US carrier that had MVNOs, but now all four carriers have MVNOs. Some of the MVNOs that you may have heard of are Boost Mobile (uses and is a subsidiary of Sprint), Cricket Wireless (uses and is a subsidiary of AT&T), FreedomPop (uses Sprint), H2O Wireless (uses AT&T), MetroPCS (uses and is a subsidiary of T-Mobile), Straight Talk (uses T-Mobile), and Ting (uses Sprint). Republic Wireless started as an MVNO for Sprint (with voice/text roaming on Verizon) but they now are also an MVNO for T-Mobile (with voice/text roaming on AT&T). Unlike some other MVNO providers that can only connect via cellular service, with Republic Wireless, your primary connection is via wifi, but when wifi isn't available your connection will be via cellular either on Sprint (with Verizon/text voice roaming) or TMobile (with AT&T voice/text roaming) network depending on which network their new Republic Wireless Coverage Checker determines is the best for your area. In December, 2017, Republic Wireless replaced their previous "3.0 Clear Choice" plans with new "4.0 My Choice" plans, which are a bit simpler, and also cheaper if you need more cellular data. Unlimited talk & text is still $15, but now cellular data is a flat $5/GB. You can pick a monthly plan with no data or however much data you want, and now you can also purchase additional data during the month for $5/GB if you ever need it. You can also still switch to a plan with more or less or no data whenever you want, and/or just make a one-time purchase of extra data whenever you need it. $15 Unlimited Talk, Text, and WiFi Data <<< my favorite! All Republic Wireless plans include unlimited talk & text over wifi and cellular. When you aren't on wifi, cellular talk and text is either provided by T-Mobile (with voice & text roaming on AT&T), or by Sprint (with voice & text roaming on Verizon). When you sign up, Republic Wireless checks the cellular coverage for your zip code and determines which carrier service will provide better service for your area. All of the plans also include unlimited free data over wifi. If you want or need cellular data, you can chose one of the plans with additional cellular data. Our family has has three Republic Wireless Moto G smartphones with the unlimited talk, text, and wifi data, which is the plan I recommend. If you need some cellular data, the $20 unlimited talk, text, and wifi data + 1 GB of cell data is a great value. Remember that all the data you use over wifi is free and unlimited. Republic Wireless offers a variety of Android smart phones (currently available phones are listed in the table below). All of the phones come with a Republic Wireless SIM card installed, but are "unlocked". Because their phones come automatically unlocked and because Republic Wireless doesn't require a contract, if you leave Republic Wireless at any time in the future for any reason, you can take your phone with you and use it with any other cell providers (*depending on if the phone is GSM or CDMA or both). I'm a huge Moto fan based on our own experience with Moto phones. We had three original Moto G (1st generation) phones that have served us well for four years. Although they were all still working, we've recently upgraded all of them and now have a Moto G4, a Moto G6, and a Moto X4. As you can tell, we are a "Moto family". You can purchase one of the phones above from Republic Wireless, or you can "bring your own phone (b.y.o.p.)" as long as it is unlocked and GSM-capable, and is one of their approved BYOP phones (as of October 2017, the Republic Wireless approved BYOP phones include: from Motorola: Moto E4 (XT1768), Moto E4 Plus (XT1775), Moto G4 (XT1625), Moto G5 Plus (XT1687), Moto Z (XT1650-03), Moto Z Play (XT1635-02), Moto G4 PLAY (XT1607), Moto G4 PLUS (XT1644), Moto G5S Plus (XT1806), Moto X Pure Edition (XT1575), and Moto Z2 Play; from Samsung: Samsung Galaxy J3 (SM-J320A), Samsung Galaxy S6 (SM-G920T), Samsung Galaxy S7 (SM-G930U), Samsung Galaxy S8 (SM-G950U1), Samsung Galaxy S8+ (SM-G955U1), Samsung Galaxy S7 edge (SM-G935U); from Nexus: Nexus 5X by LG (LGH790), Nexus 6 by Motorola (XT1103), Nexus 6P by Huawei (H1511); and from Google: Google Pixel (G-2PW4100), Google Pixel XL (G-2PW2100), Google Pixel 2 (coming soon), and Google Pixel 2 XL (coming soon). I think it is easiest to just buy a phone from Republic Wireless, but it you already have a phone that qualifies for their byop program or if you find a better deal on one of the byop-approved phones, it is easy to bring your own phone to Republic. You'll need to check your coverage (see below), make sure your phone is an approved model, and then finally buy a $5 Republic Wireless sim card with free shipping (free Republic Wireless sim card shipping is via UPS Mail Innovations, otherwise you can select UPS Ground or Next Day for an additional charge). After you receive the sim card kit, install the sim and the Republic Wireless app on your phone, and then sign up for the service plan you want. Will your phone work on Republic Wireless? Republic Wireless now offers nationwide coverage from two major providers, T-Mobile and Sprint. T-Mobile service requires a GSM-capable phone while Sprint service requires a CDMA-capable phone (most new Republic Wireless phones are both GSM and CDMA capable as you can see in the table above). Republic Wireless phones will activate and work on one network or the other, but not both. Phones with Sprint cellular service will also have voice roaming for talk & text on Verizon. Phones with T-Mobile cellular service will also have voice roaming for talk & text on AT&T. When you start your order, you will be asked to enter your zip code in the Republic Wireless Coverage Checker. The new coverage checker is actually pretty cool. Based on the zip code you enter, the Republic Wireless coverage checker uses a proprietary program to analyze other existing Republic Wireless phones in that area and checks for call quality data, call completion (or failure) rates, customer issues or complaints, and several other factors including the theoretical carrier coverage maps, and the program then determines which coverage (Sprint or TMobile) will work better for you. The phone you purchase will have that service. Because there are now two carriers available, Republic Wireless is using their existing customer database to determine which coverage will be better for you in your zip code, since they want to make sure you have the best coverage possible (they want happy customers, not disappointed customers). Of equal importance, if the coverage checker determines that neither service will provide acceptable coverage for your area, they will warn you about the coverage and will recommend that you not buy a Republic Wireless phone. How many other carriers would discourage you from joining their service? Republic Wireless wants happy customers, and if they don't think think you will be happy with your coverage, they'll let you know in advance! Republic Wireless also has a 14 day money back guarantee. After you receive and activate your phone, you have two weeks to make sure the phone and coverage work well for you, otherwise you can return the phone for a full refund. We've been using Sprint coverage here in Santa Barbara, California, for several years, and it's always been just fine. The T-Mobile coverage around here is good too from what I'm told. Although Sprint and T-Mobile (and Verizon and AT&T) all claim to have nationwide service, the truth is that there are some areas where a particular carrier just doesn't have very good coverage. When you order from Republic Wireless, they will use their new coverage checker program to determine the best provider for your area. Also keep in mind that Republic Wireless phones work on wifi, so when you are on wifi, you will have great service regardless. In my opinion, for many people, the way to go with Republic Wireless is the Moto E5 Play smartphone or the Moto G6 Play smartphone on their $15/month plan with unlimited talk/text plus unlimited data (internet) over wifi. It certainly is a great way to start if you want to try out Republic Wireless service. If you need cellular data (internet access over cellular), for only $5 more ($20/month) you can get 1GB of cellular data each month, but if you can live with wifi only internet, you won't find a better deal today than the Republic Wireless $15/month plan! The monthly savings add up. We're saving about $75 a month (compared to if we had stuck with T-Mobile and added a third phone). We were paying T-mobile $71.92/month (including tax) for voice & text service on our two old "dumb" flip phones, and we were limited to 700 weekday minutes per month and only had 300 texts a month on only one phone. This means we were paying T-Mobile an average of $36/month per phone (for flip phones!) and we were only getting limited voice & text. Now, with Republic Wireless, we're paying $33.93/month (including taxes) for all three of our three Moto G smartphones with unlimited talk and text and free internet over wifi, or an average of $11.31/month per phone! That means we're getting more and paying less, about $75 less a month! Republic Wireless doesn't lock you into a 2 year contract. There is NO contract. AT&T and Verizon may give you a seemingly sweet deal on a new phone, but then they lock you into an expensive 2 year contract and charge huge early termination fees if you leave. Again, with Republic Wireless there is no contract. You will need one of the Android smartphones which supports their service, which you can either buy from Republic or you can "bring your own" and just purchase the Republic SIM card. Republic has the very reasonable priced $199 Moto G4, and all of their phones and plans are covered by a 14-day money back guarantee. You can try the phone and service for 14 days, and cancel at any time for a full refund (minus shipping). You really should at least try Republic, even if you keep your current cell phone provide while you try out Republic. And once you're with Republic, you can cancel at an time with no contract termination fee. If you ever leave Republic, since the new Republic Wireless 3.0 uses "unlocked" phones, you can use your phone with a different service provider. Almost all of the Republic 3.0 phones are both GSM and CDMA, meaning they will work with all of the big four providers (AT&T, Verizon, T-Mobile, and Sprint), as well as all of the MVNOs that use those service providers. There really is no risk that I can see to trying Republic. Why not sign up today and start saving money?! Republic Wireless shared PC Magazine's Reader Choice Award with Consumer Cellular, easily beating out all of the big four (AT&T, Verizon, T-Mobile, and Sprint). According to PC Magazine, Republic was the highest rated company for satisfaction with fees (9.5), and had excellent ratings for overall satisfaction (8.8) and likelihood to recommend (9.0). The lowest area in the ratings for Republic Wireless was not surprisingly in their phone selection, as they do not offer the wide selection of phones that other carriers do. PC Magazine's survey backs up the impressive statistic on Republic's website: "Over 95% of the people who try Republic stick with us." If you read the many Republic Wireless reviews available across the internet (i.e Clark Howard, CNET, Consumer Reports, etc), you will find a few negative comments (some I think are justified, some I think aren't). As I stated at the beginning of this review, Republic isn't for everyone (for some people's needs, I don't think any wireless company could really make them happy). But according to PC Magazine and Republic's own website, the vast majority of Republic Wireless's customers are satisfied with their service (and love the savings!). I know my family is, and I think that if you determine Republic Wireless would be a good fit for your smart phone needs as well and if you try them, then you too will be satisfied. Republic Wireless offers a 14 Day Money Back Guarantee on their phones. You can try them out for up to 14 days, and if the phone or service doesn't work for you, you can return the phone for your money back (minus shipping). With the amount of money most people can save, I don't see any reason not to try Republic Wireless. If you are a parent getting your kid or teenager a smartphone, I would tell you that the best thing you can do for your kid or teenager is get them the Republic Wireless $15 per month unlimited talk and text plan with NO cellular data (assuming you have wifi at home for data). I have all three of our Republic Wireless phone plans on unlimited talk and text but NO cellular data. I did this because I am cheap, and figured (correctly) that we could live without cellular data (we have wifi at home, work, and school). In retrospect, I would still do the same thing even if I wasn't cheap, because not having any cellular data is so much better for my daughter (though I'm not sure she would agree with this). I feel very strongly that giving your kids cellular data is a mistake. I am so happy my teenage daughter DOES NOT HAVE CELLULAR DATA! When she first got her smartphone, she would text a lot with her friends (which is why unlimited texting is so important), but apparently now texting is ancient technology that nobody who is hip uses anymore (which may explain why I still text). My daughter now uses Snapchat, and I shudder when I think about how distracting it is and how much time she spends on it. We tell her to Snapchat less, and she tries, but I think that Snapchat (along with other social media, Instagram, Youtube, and the internet in general) can be very addicting, and can take up far too much of a young person's time. So I'm happy that my daughter can only Snapchat on wifi when she is at home, and not in the car or at ballet lessons. In my opinion, providing cellular data to a kid is like giving them a huge bowl full of candy and then telling them to just eat a little and use restraint. It's asking too much. Kids don't need cellular data, and they do better when they only have wifi data. It's much better for them to be bored and look out the car window, instead of staring at Snapchat on their smartphone screen. Do your kid/teenager a favor and don't get them cellular data. They won't like you for it now (my daughter regularly asks why she doesn't have cellular data like her friends), but someday your kids will thank you. For some people, this might be a con, but it doesn't bother me at all. Republic Wireless doesn't have a phone number that you can call for customer service. Instead, you can submit a help ticket on their website, and they'll get back to you. They have online chatting during regular business hours. Finally, if you have a problem, you can post it on their customer forum and it's amazing the amount of help you'll get from other Republic Wireless customers. Personally, I don't mind at all not being able to call a customer service rep. With both AT&T and T-Mobile, I was able to all an 800 phone number, but that didn't solve my problem. As I wrote above under our "cell phone history", I spent hours on the phone with both AT&T and T-Mobile when we had service problems, but all we really got was very nice people that told us what they thought we wanted to hear and made lots of promises, but were never able to fix our problems. With Republic Wireless, we've had very few issues, and they've usually just resolved themselves. I'd much rather submit a help ticket and let them get back to me, instead of attempting to navigate through an endless "press 1" then "press 2" then "press 1" voice prompt menu only to eventually end up getting some representative who reads from a script but really can't do anything to help me. > October 9, 2016 update: my own customer service experience with Republic Wireless over the past two years. I decided to update this "possible con" section to cover how Republic Wireless customer service has been for us for the past two years. I recently decided to swap phone numbers between two of our Moto G smartphones. My wife has a 16gb version, and wasn't using very much of her phone's memory. My daughter has the 8gb version, and was constantly running out of phone memory for storage space. So I decided the easiest solution was for them to "trade" phones, which meant swapping phone numbers. I knew this meant opening a support ticket with Republic Wireless. When we were ready to make the switch, I opened the support ticket request. It was late on a Saturday afternoon, and I assumed I wouldn't get a response until Monday morning at the earliest. Instead, I was surprised to have Dawn (a Republic Wireless customer support person) reply to my support request on Sunday morning, the very next day! She asked me to confirm the serial numbers on the two phones to make it clear which phones I wanted to swap. I replied to her, and in less than an hour later, the phone numbers were swapped. That is great customer service! I never had to call a number and wait on hold or navigate through a bunch of voice prompts. Instead, I just opened a support ticket, and my request was taken care of during the weekend. Looking back at my support requests over the past two years, I realize that I have never needed or wanted to call a customer support number. When we got our first phone, I opened a support ticket because a few times a phone call wouldn't go through or it was garbled. The support person recommended some fixes, but if my memory services me right, the problem just went away after a few days (or the fixes worked). Twice I have used the Republic Wireless community forum to help with issues. The first time it was because my mother-in-law wasn't getting our texts. The problem turned out to be on her end, and was because she had forgotten that when she ordered her service from Verizon, she put a block on incoming texts so she wouldn't have to pay for them. More recently, our Moto G smartphones started to experience higher than normal battery drains on cellular service. I again posted on the Republic Wireless community forums, and got lots of helpful advice. I ended up doing a factory reset on all of the phones (they had never been reset before and are over two years old). The factory reset solved the battery drain issue. So between the support ticket system and the community forum, I personally am quite happy with the level of Republic Wireless customer service we have had over the past two years. This isn't a con for me, because I'm quite happy with Android-based smartphones. But it is true, Republic Wireless does not provide service for iPhones, at least at this time. I recognize some people prefer iPhones and/or just could not live without an iPhone. If you must have an iPhone (and pay the iPhone price and monthly service cost), then Republic Wireless isn't for you. Republic Wireless will occasionally offer a special redemption code for specials such as free shipping or a discount on accessories, or introductory pricing on new phones, or close-out deals on older model phones that are being discontinued. They generally email current customers when they have these special coupon code offers, and they also post them on their Special Offers and Promotions page (which I would check before ordering to see if there are any new deals or new promo codes, coupon codes, or redemption codes). Even if there aren't any current deals, if you're ready to join Republic Wireless and start saving money, don't wait too long in hopes of saving just a little bit more. If you're like most of us, every month you're with Republic Wireless, you'll save money (over $50 a month in my case), and every month the savings add up. Or put another way, every month that you continue to stick with your higher priced service provider instead of switching to Republic Wireless, that's another month you've thrown away more money! So don't wait. Stop forking over your hard-earned cash to overpriced cellular providers like AT&T, T-Mobile, Verizon, and Sprint. You don't have to pay that much for your cell phone service. On April 6, 2016, Republic Wireless added the option to finance your new phone purchase. Instead of paying for your phone up front, you can opt to pay it off over 6 monthly payments, 12 monthly payments, or 18 monthly payments. If you use this option, you will pay between 10-30% interest (APR). The financing is handled by another company, Affirm, and is an option when you are ordering your phone. If you decide to finance the phone, when you are ordering, you get temporarily sent to the Affirm website where you enter some personal information and pick 6 months, 12 months, or 18 months, and they then determine your interest (based on your credit score and other factors) and tell you what you monthly payment would be. For example, you might buy the Moto G outright for $199, or you could make twelve monthly payments of $19.99 ($240 total because you pay 20% interest). So what to I think of financing your new phone? I'm cheap, and don't like to pay someone else interest. That's why I pay off my credit card every month. I think it's better to pay off your phone upfront (which will save you money). Republic Wireless is the best option for people who what to save money on their cell phone service, so I'm not sure why one would then decide to pay interest on your phone. If you're considering monthly payments because you want the new most expensive high-end phone they just introduced but you can't afford to pay for it, then I would suggest buying the phone you can afford (the awesome Moto G for example), and wait to buy a more expensive phone until you can actually afford it. Live within your means! The Bottom Line: Is Republic Wireless good? Yes, at least for our family. We've been using our three Moto G smartphones with Republic Wireless for three years (since July 2014). We haven't had any problems with our phones or our service. Our phones just work, which in the end, is what matters. We've recommended Republic Wireless to many of our friends after often finding out they're paying twice or three times as much (or more) per month compared to what we pay with Republic Wireless. Our friends who have decided to try Republic Wireless and have switched have all been happy, and like us, they all wonder why they didn't switch to Republic Wireless a long time ago! 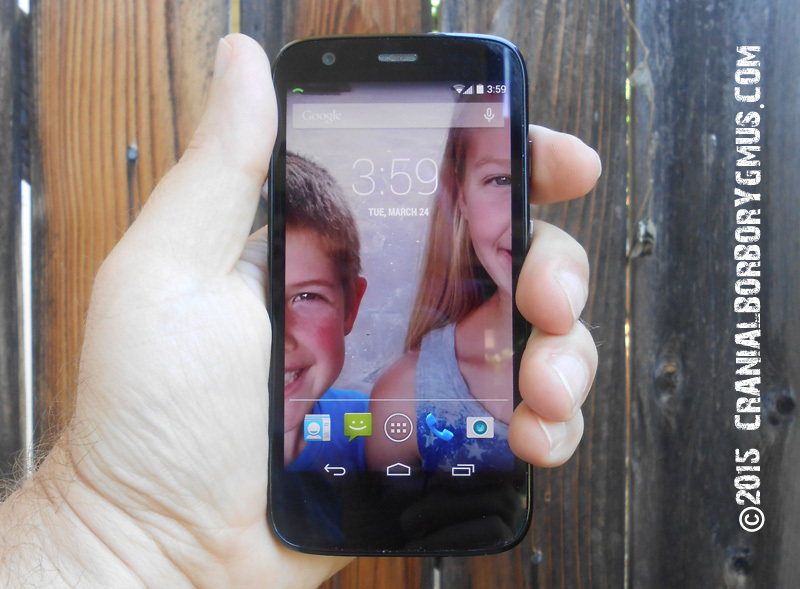 Why does Republic Wireless not offer any of the 3 generations of the Moto G? Especially The 3rd gen Moto G? Buddy, Good question. Republic Wireless sold the Moto G (Gen 1) for a long time, until Motorola stopped making it and Republic thus couldn't get it anymore. Republic doesn't sell the newest generation right away. First, there has to be a CDMA version of the phone that will work with Sprint (versus a GMA version). Second, Republic has to develop special software for the phone and make sure it works. It seems to take several months or more before they offer the latest version of a phone, if they decide to. In any event, I would expect a Moto G (Generation 3) phone to be offered soon, at least sometime this year, because I think there is a strong demand for it. I've also read that Motorola doesn't let Republic announce anything in advance, so they can't announce until they actually release the phone. I'll update this comment if I hear anything more. update: Republic Wireless began selling and shipping the new Moto G (3rd gen) smart phone on October 27, 2015. I have been with republic for a year now. I have two lines of service with the Moto g's. My average bill is $26 per month. That's $13 a line. I have the 1gb data plan on each phone, and I get a refund every month. I have gotten used to using data at home or when wifi is available. I still use data on occasion I live this service and recommend it. It takes discipline to learn how to use more wifi data, but in the end. $13 per line per month !!!! Love it . Benjamin, thanks for your comment and feedback on Republic Wireless. It's always good to hear from other Republic Wireless customers! It's also good to hear that the Republic Refund plan is working out for you, so you have cellular data when you need it, but it doesn't end up costing that much because you get refunded for what you don't use. We will have been with Republic for two years this coming summer, and I also highly recommend it. We've always stuck with their $10 plan since we're usually around wifi and can live with just wifi for our data. My wife and teenage daughter love their Moto G's, as do I, and having THREE smartphones for about $34 bucks a month TOTAL just can't be beat. My only regret is that I waited as long as I did until I finally decided to try Republic Wireless (and leave T-Mobile). Thanks again for taking the time to comment, and for providing feedback on how the Republic Wireless data refund plan is working for you. How were you assigned a number? I imagine the phone came with a card that said "this is your number". Good question. It was almost two years ago, but here is what I remember. When you order your phone and service, you also get an online account. You log onto your account using your email address and a password. You can see your new phone number on your account. When you get you phone, I don't remember if there was a printed card with the number, but after you turn on and activate your phone, your number will also be on your phone. The fastest way of learning what it is though is to check your online account. The number will be assigned based on the nearest area code to your address that Republic Wireless can use. If you don't like the area code or number, you can select a different. In addition, after you get the phone and set it up, if you want, you can port your old number to Republic to replace the number they assigned to you with your old number, if you want to keep your old number. Porting an old number is pretty easy, as long as Republic has access to your area code. There's a way to check that I should post here. But I wouldn't terminate your old service or port your old number until you get your new Republic phone and try it out for a while. Hi - I live in a rural area with limited everything. I do have Internet at home. My job is more rural. Do you recommend Republic for rural customers? Hi Joyce, I don't think it matters so much whether you are "rural" or "urban". It's more a question of whether you have wifi (internet) available at home and/or work, and how the cellular coverage is where you live and work. Republic Wireless currently uses Sprint for coverage, and will be adding T-Mobile. There's a link above that you can use to check the cellular coverage where you are. If you have good coverage and wifi too, Republic is a great way to save a lot of money! Good luck. 3/19/17 update: Republic Wireless now uses both Sprint and T-Mobile for cellular data coverage, and also has voice & text roaming on other carriers. They will determine whether you get a Sprint or a T-Mobile supported phone when you sign up based on your location and which service works the best at your location. Keep in mind fellow cheapskates that although RW now has the Clear Choice plans, they still offer the Refund Plans that preceded if you have the Moto G (1st and 3rd gen), Moto X (1st and 2nd Gen) or the Moto E. I think the Refund Plans are still the best deal for those who want the option of having a small amount of cell data available for when you are out and about and need to look something up, get directions, etc. and are not by WiFi. For $17.50 a month you get a plan with .5GB of data, and all data that is unused is refunded each month. I typically use 50-100MB a month and am refunded around $5-6 each month, so my monthly grand total cell bill is ~$13. That is considerably cheaper than their current lowest cost Clear Choice plan with data, which is $20/month for 1GB, and none of that is refundable. So, after taxes/fees it'd likely be around $23. So, if you don't use much cell data but would like to be able to have access to it when needed in the least expensive way then I'd suggest getting one of those phones listed above (they still have the Moto G 3rd gen available on their site; and you can of course get it or the others on eBay for good prices. Moto G 1st gens sell for $50-70 as of right now). I upgraded my Moto G 1st gen to 3rd gen to get a camera that is actually usable, expandable memory, better battery life, and it's snappier processor. The Clear Choice plans are pretty reasonable, but I'll stick with the Refund Plan as long as they offer it as it is the best deal for me. Mike, great comment! I agree that the Republic Refund plans were a great deal for people who just needed a little cell data, and I credit Republic for trying to shake up the way the wireless industry sells cellular data. It's a bummer that Republic doesn't have the refund feature in their new plans, at least not now. I understand why with moving to new unlocked GSM phones and negotiating with a new carrier (T-Mobile), the plan options have changed and there is new pricing. In addition, Republic has stopped customizing the ROM on their phones and now just uses their app and the SIM card to provide service, which means in addition to buying a phone from Republic Wireless, you can now also bring your own phone to Republic (it has to be an approved/validated model). Now if you ever leave Republic, because all of the new phones are unlocked (whether you buy a new phone from Republic or buy it on your own), all of the new phones can be taken with you and used on other carriers. There are a lot of advantages to Republic 3.0, though again, it's a bummer the refund feature is gone for now. But Republic may be able to add it back in the future. For now, if someone wants a refund plan, they would need to get one of the "old" Republic phones you listed. The only one still for sale on the Republic website is the white Moto G3, and I don't know how long that will last. The other option is to buy a used old Republic phone, but I wouldn't recommend that. One really doesn't know how the used phone was treated or how much life the battery has left. I don't think it's worth it to buy a used phone just to try to get a slightly cheaper monthly plan. Still, it's something to consider. Our three original Republic Moto G smartphones are on the now grandfathered "legacy Republic 1.0" $10 plans. The phones continue to work just fine, so we'll stick with them for now. I thinks it speaks well of Republic that they will continue to support the old plans as long as people have the old phones. Many companies wouldn't do that. I also think it's a testament to Motorola that after two years, all three of our Moto G phones just keep plugging away, which is why if I was getting a new Republic phone, I'd go with the new Moto G4. Thanks again for your comment! Does the Republic Wireless phone support navigation and if so, do you need to get one of the data plans? How are the phones for taking pictures or videos? Hi Donna, As far as navigation goes, for any smartphone service provider (whether it's Republic or some other provider), if you want online, real-time navigation, you will need cellular data. However, we use an app called "Here" which provides off-line navigation, and works well. You download the app and in our case, a map of California, and then you enter your destination (and favorite locations like your home) while you are connected to the internet via wifi. Then when you are out-and-about and away from wifi, Here will use your GPS location and show you where you are on a map, and tell you how to get to any location you have already stored. The only downside is you can't search for new locations (when you aren't on wifi) and you can't get real-time traffic. I think Google Maps also has an offline version now. As for the new smartphones for taking pictures and video, I think all smartphones have come a long way in the past few years, and probably all of the new Republic phones have "good" camera. I've read that the new Moto G4 camera is very nice, but I guess it depends on how "good" you want your pictures to be (if you can even tell the difference) and how much you want to pay. Personally, I'd be nervous if I was responsible for not losing or breaking an $800 phone, and if I want the best camera available, I'd get a real SLR camera (they look so cool too). I am a dinosaur who is using a phone that I purchased from Verizon over nine years ago. I should like to replace it with an additional line as well. Just replaced a 27 year old auto. The information you have provided is very encouraging. Are you using a family plan or does each phone have a separate plan? Hi Patricia, I'm a bit of a dinosaur myself. My wife and I had flip phones up until two years ago when we switched to Republic Wireless and got our Moto G smartphones. All of our Republic Wireless phones are on the same account but are individual plans (all the same unlimited talk & text plan). Republic doesn't have a family plan, but you can get multiple individual plans and keep them all under the same account. PS. We have two cars... a 13 year old 2003 Ford Escape and a 22 year old 1994 Honda Civic. We don't drive that much and both cars still run just fine. I don't mind being a "dinosaur" if it means saving money and having more of it for the things in life that really matter. How about the roaming service of Republic? About roaming in other countries? Hi Yuan, Republic Wireless uses T-Mobile to provide their cellular service (when you aren't on wifi). Republic does have voice roaming (for voice, sms texts, and mms texts), so you should have T-Mobile cellular voice (plus texts) with roaming on AT&T. However, due to the high cost of roaming data, Republic does not have cellular data roaming, so cellular data is limited to T-Mobile. In any event, I strongly encourage people to confirm they have good Republic Wireless / T-Mobile cellular data coverage here if they are signing up for a plan with cellular data. Republic does not offer international cellular service, but their phones do work on wifi everywhere. We were in Sweden this summer, and brought our Republic phones. We put them on airplane mode and enabled wifi, and they worked great at our hotel and where ever we had wifi. We were able to call and text back and forth with people in the US, though you can't make local calls when overseas. Hope this answers your question, and thanks for your comment. Truth is, I want to still be able to use my Moto Razr. Can any of your plans accommodate that? Thanks. Hi Thomas, I still have two "classic" Moto RAZR flip phones and love(d) them, but we don't use them anymore. The RAZR only works on 2G, and I think that service is being phased out by all the carriers to make more room for 4G LTE service and more. We had T-Mobile a few years ago (see my review above) but T-Mobile changed their service in our neighborhood and our 2G Razr flip phones weren't reliable anymore. As for Republic Wireless, all of their plans require a smartphone. I'm not sure what carriers still provide service for an old school RAZR, but just keep in mind the 2G limitation may be an additional problem. I know I really loved my flip phone and didn't see any need for a smart phone, but now that I've been using the Moto G smartphone for over two years, I've got to admit, smartphones are pretty nice. And the savings we get from Republic's cheap but good service plans just can't be beat. Hi Ron, Good question. They won't work on the new RW 3.0 plans, but they would work for the old 2.0 plans if they are Republic Wireless Moto E phones. Under the old Republic Wireless, RW phones had customized software and only worked on RW (using Sprint). So if they are RW phones, you can sign them up for the old $10 plan, but they would have to be the RW custom version. If the Moto E phones were for a different carrier, they won't work for the old 2.0 plans, and the Moto E is not a phone that would work for the new 3.0 plans either. Can you bring in your current telephone number? Hi Laura, If you meant that you want to keep your old number and bring it to Republic, that process is called "porting" and yes, you can (in most cases) port/transfer in your old number. First you would get a Republic Wireless phone and new number, and then whenever you want, you can "port" (transfer) your old number in to replace the RW number. Most numbers can be ported into Republic Wireless. They do have a "Number Transfer Checker" where you can make sure you can transfer your old number to Republic Wireless. It's good to check before you order if you need to be able to keep your old number. When we first joined Republic two years ago, they weren't able to port in numbers from Santa Barbara, California, so we had to get new numbers, but now they do have numbers for our city and we would be able to port in our old numbers. Will you be adding iphones to your service? Specifically iphone 5s. Thanks. Hi Peter, Thanks for your question. Republic Wireless does not sell or support service on any iPhones at this time. They used to rely on customizing the ROM on their phones to make their hybrid wifi/cellular service work, which limited them to just the Motorola Defy initially and then the Moto X, Moto G, and Moto E series of Motorola Android smartphones. Now they've changed how they work and don't have to customize the phone's ROM. Instead they use their sim and their app, which means now their service works on a variety of unlocked Android smartphones running Android Marshmallow or higher. Republic Wireless might be working on or have plans to also create an iPhone-version of their app that allows their service to work on iPhones (or it might just not be at all possible). I'm only speculating and really don't know. I haven't read anything about this, but it might be a possibility in the future. I just would not expect it any time soon. I see mention of a $10 plan in the comments. How's that different than the $15 plan? Hi SZ, Good question. The "$10 plan" and the "15 plan" both refer to the same unlimited talk & text plan, but one is the old original plan that is no longer available and one is the new "Clear Choice" plan. Basically, the price went up from $10 to $15 in 2016. When Republic Wireless first started (before my time), they had a single plan for $19.99 with unlimited talk, text, and 5GB of data I think. Then they restructured their pricing to have multiple plans, and introduced a $5 wifi only plan, and $10 unlimited talk & text plan, and a $25 or $40 plan that added 5GB of 3G or 4G data respectively. That's when my family joined with three lines on the $10 unlimited talk & text plans. Then Republic introduced their data refund plans, which many people loved, but were apparently too confusing for potential new customer and discouraged people from joining. Then, last year in July 2016, Republic Wireless went through a big change. They switched their phones from having a few customized-ROM Motorola phones that would only work on Republic Wireless to using a Republic Wireless sim card that can go in many more phones (meaning a lot more phone options for customers, and their phones are unlocked now so you can take them to other providers if you leave Republic). They also switched from using Sprint to using T-Mobile, though now they can use either Sprint or T-Mobile, depending on which carrier has better coverage in your zip code. Finally, they introduced their new Clear Choice pricing and plans. The $5 wifi only plan and the old $10 talk & text plan are now gone, though people with older customized-ROM Republic Wireless phones can still use those old plans. If you could find an older used custom ROM Republic Wireless phone, you can still activate it under the old plans. But for new customers, the options are now the new Clear Choice plans, with unlimited talk & text being $15 (which is a very popular plan), or for $20 you can also get 1Gb of cellular data. I'm not sure if you wanted this much background, but hopefully I've answered your question. I do think the $15 talk & text plan is still a great value. Thanks again for your comment and question! Just thought I would share that there are 2 coupon codes that are active with Republic Wireless currently. I have itemized them below. Just today (4/25/2017) I set up a new phone line with Republic Wireless and the USCLUB code worked perfectly. Hi Quinn, Thanks for sharing the two coupon codes (and verifying that one of them actually works!). For other readers, Republic Wireless has a blog post explaining this promotion. Republic Wireless is partnering with two youth soccer organizations (Capital Area Soccer League and US Club Soccer) and this two coupon codes are part of this. If you use either one, you will get a $20 credit on your account that will be applied against future service. The coupon codes are only valid until 5/5/17. Thanks again for commenting and sharing! Considering republic for my own 12 year old daughter but I had one quick question. Can you make phone calls on republic if you don't have a wifi signal and you don't have a plan with cellular data? My daughter doesn't have access to wifi at her school or when she is walking home but I want to be sure she can call or text us if we opted for the $15 plan with no cell data. We're currently with Verizon, primarily because they're the only reliable service where we live in AZ. Also used a T-Mobile device next to our V devices, and coverage all over the western US was far superior with V. Question: You noted a possible "con" was incompatibility with Apple devices; would what I understand as incompatibility with Verizon devices also be a con? Or did I miss something? Hi Chad, If the only reliable service provider in your area is Verizon, and you know that T-Mobile, AT&T, and Sprint would not provide good coverage, then Republic Wireless may not be a good choice for you. Republic Wireless uses either T-Mobile (with AT&T voice/text roaming) or Sprint (with Verizon talk/text roaming), though their phones also work on wifi when it is available. When you sign up with Republic Wireless, they check your zip code to determine if their coverage would work for you, or if it won't, they'll let you know. You can see their coverage checker here. By default, they sell phones that use T-Mobile for talk/text and data, with AT&T for backup roaming talk/text. If your area doesn't have decent T-Mobile coverage, then they sell phones that use Sprint for talk/text and data, with Verizon for backup roaming talk/text. It is simplest if you buy a phone from Republic to start your service (and they have a 14 day money back guarantee), but they also have a "bring your own phone" program. If you have an unlocked GSM-capable smartphone that is on their approved list, you can buy and install their GSM sim to use their T-Mobile/AT&T service plans, but the phone must be unlocked and on their approved GSM phone list. You would not be able to use a Verizon phone on Republic, unless it was fully unlocked and was one of the approved phones that they support. Hope this answer helps! Quoting a previous post: "Comment by Benjamin Rodriguez on Monday, March 21, 2016 - I have been with republic for a year now. I have two lines of service with the Moto g's. My average bill is $26 per month. That's $13 a line. I have the 1gb data plan on each phone, and I get a refund every month." Do you know if this is true? I was thinking about getting the 1Gb plan but don't know if I will use all the cellular data. Do I get a refund for the unused amount? I haven't seen info about this on their website. Hi Mark, Benjamin was referring to an older "grandfathered" plan that Republic no longer offers. In the past when Republic used customized-rom phones, they also had a plan that offered a refund on unused data. But last year (2016) when they expanded their coverage options by adding a second service provider and also started using unlocked phones, they also had to raise their prices a little on their new Clear Choice plans and remove the data-refund option, though people who have older Republic Wireless phones can remain on the grandfathered plans with their old RW phones indefinitely. Excellent rundown here of RW's pros and cons. I used them for a year or so and then ultimately switched to another MVNO that was less expensive. I did have some hiccups with the service now and then but I often think it was related to the phone more than anything else. Their service is generally pretty good - but will often "out-source" your requests to their knowledgeable userbase before someone at RW gets involved. Hi Aaron, Thanks for your comment and feedback, and for sharing your own experience with Republic. I think the Republic Wireless $15 unlimited talk/text plan as well as the $20 plan which includes 1GB of data are pretty hard to beat, but it one wants more data per month there are other providers who may offer a better deal. As for support, they don't have a phone number to call, but I don't mind that. When I had a problem many years ago with my AT&T service I spent hours on the phone and never got anywhere. Same thing happened with T-Mobile. So I'd rather just submit a ticket or an email and have someone in support take care of it for me (though I think RW also has an online chat option during the day). More importantly, I've just never needed much support because our phones and service has almost always just worked, which is nice. I have used their community forum a few times and have found the people there very helpful. Thanks again for commenting! Is there a good connections when you travel north, New York, Pennsylvania, DC? My home is in Tennessee. When traveling will need wireless, I have wifi at home. I use cell phone very little, when not traveling. Please advise. Thank you. Hi Gerry, For talk & text, the default Republic Wireless coverage uses TMobile with AT&T roaming as backup. Cellular data is TMobile only. When you are signing up, if your local area doesn't have good TMobile coverage, then Republic would put you on their Sprint system which uses Verizon roaming as backup for talk & text (cellular data would be on Sprint only). I would expect that regardless of which system you are on, your coverage when traveling should be good, especially for talk and text because there is roaming backup. And as you said, talk, text, and data all work on wifi, so whenever you're on wifi you'll be "covered" regardless of the actual cellular coverage. I would suggest that you check your local zip code coverage with Republic Wireless first before you sign up. You can use this Republic Wireless Coverage Checker. Thanks for your comment and question! You said that Republic Wireless sends you a phone that will get the best service for your area. This is great, but, we hope to move from IL to NC next year. I have put in both zip codes and both will have service. I don't know that it would be served by the same carrier though, and that the phone they send me here in IL, will work as well in NC. What is your recommendation? I plan on getting a phone that has GSM and CDMA. Also, my daughter and son-in-law use Republic Wireless and have mentioned that you can upgrade your plan if you know you are going to be traveling? and then return to your regular plan later. If this is the case, the $15 plan is absolutely the way to go! Regarding coverage: By default, Republic Wireless will sell you a phone with T-Mobile coverage (and talk/text roaming on AT&T). However, if their coverage checker determines that Sprint coverage for the zip code is better, they will sell you a phone with Sprint coverage (and talk/text roaming on Verizon). And of course, all of their phones work for talk/text/data when you're on wifi. Here's how you can see if a zip code would result in T-Mobile or Sprint service. If you put in a zip code in the Republic Wireless Coverage Checker and you see all of the phones as well as the bring-your-own-phone option are available, then the assigned carrier would be T-Mobile. If only some of the phones are available and others phones and the bring-your-own-phone option are grayed out and are not available, then Sprint would be the assigned carrier. An example of a zip code only served by Sprint (and not T-Mobile) is 51111. Keep in mind that one of the good things about buying a phone from Republic Wireless is that all of their phones are unlocked and can be taken to other carriers if you leave Republic. Many of their phones are both GSM and CDMA capable meaning they can be used with AT&T/T-Mobile (GSM carriers) as well as Verizon/Sprint (CDMA carriers), although I believe Republic Wireless won't be able to offer the Sprint option on a couple of their newer phones with CDMA capability until later this year due to some issues getting them set up with Sprint. Per your comment, getting a phone with both GSM and CDMA capability does give you more options in the future. Regarding changing plans: Yes, you can upgrade to a higher level plan if you are going to be traveling and/or need more data, and then later downgrade back to your original plan. Do you have a comment or question? Would you like to share your own experience with Republic Wireless?